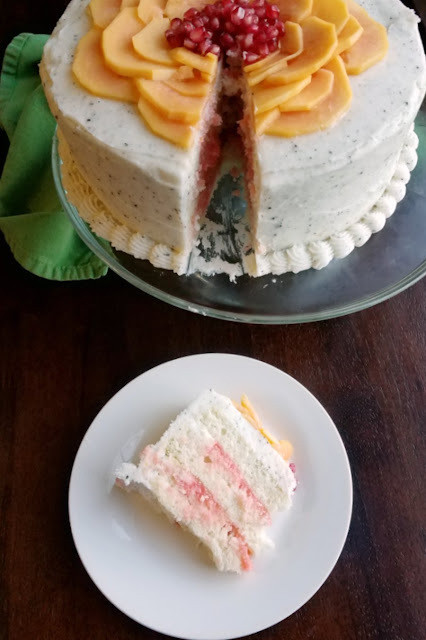 Soft white cake filled with blood orange curd and wrapped in dragonfruit buttercream. 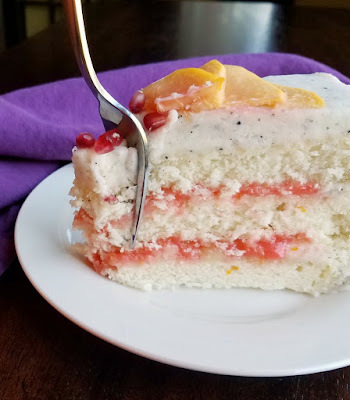 This stunning cake is a tropical fruit dream come true! Melissa's Produce sent me a selection of "freaky fruit" for recipe development. As always, all opinions are my own. What do you get when you combine moist white cake, blood orange curd and buttercream filled with the speckles of dragonfruit seeds? A bite of heaven, that is what. 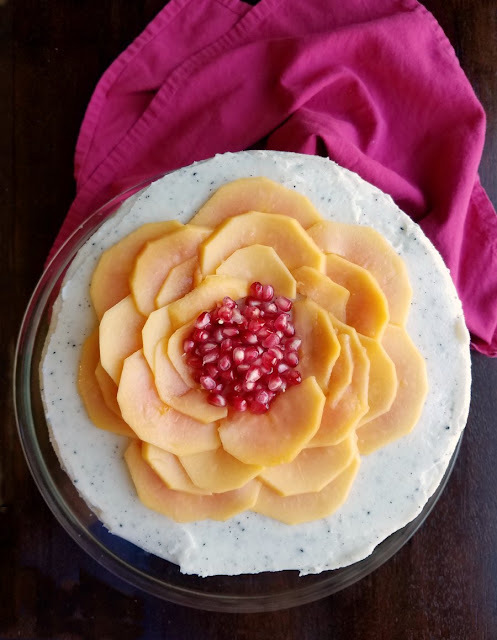 Decorate it with strawberry papaya and pomegranate arils for an extra special tropical cake. I love the experiences I get to have because of this blog. I am really fortunate that it brings we in contact with such wonderful people from around the world. It also gives me such fun excuses to expand my culinary horizons. That was definitely the case in this instance. Melissa's produce offered to send us some of their "freaky fruit" collection ahead of Halloween. When Cam from Culinary Adventures with Camilla posted the list of what was going to be included my jaw dropped. I had to look up almost every single item to see what it was! Of course that made creating recipes a bit of a challenge, but also that much more fun! Luckily they were very generous when packing the box, so I had plenty of fruit for tasting, testing and creating. None of the fruit was really freaky, but most were picked because of their looks or names. There were spiky kiwano melons and rambuten. Then there were fruits with names like blood oranges and dragonfruit. I got a couple of recipe ideas in mind and then invited my family over for a taste test of some of the others. I knew they would enjoy trying some out of the ordinary produce. Plus that gave me a nice audience for the first recipe I wanted to make, this cake. I think the rambuten were the unanimous favorite. The spike exterior was fun to peel and the inside was almost like a peeled grape. 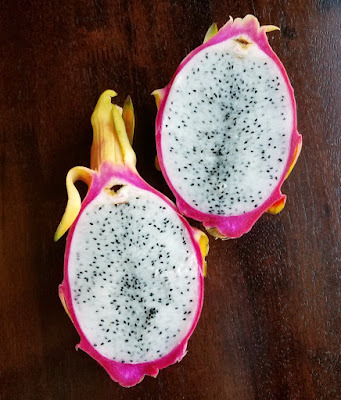 The dragonfruit is such a beautiful shade of pink and the interior was white speckled with lots of small black seeds. It almost reminded me of a kiwi in texture and ability to scoop out the fruit with a spoon. 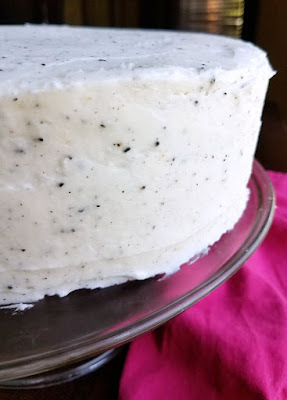 I wanted a simple to make and soft textured white cake to build it on. I knew the base of the haleakala cake would be perfect. Instead of making two thicker layers, I made three thinner layers. That way I could have a higher filling to cake ratio without worrying about too much filling oozing out. For the filling I turned some of those blood oranges into blood orange curd. It turned out such a beautiful color and tasted fabulous sandwiched between the layers of cake. The frosting took a bit of thinking. The dragonfruit puree was pretty loose and had a high liquid content. I figured if I only used powdered sugar to firm it up our teeth would ache from sweetness. So instead I boiled down some of the puree with granulated sugar. Once it was thick and syrupy, it was a lot easier to add to the frosting. I really loved the look of the dragonfruit specks in the frosting and was quite pleased with how the cake was coming together. But it seemed like it was missing something. Such a special cake needed a little something more to set it apart. I considered sprinkles, but then remembered I had a whole box full of fabulous fruit. Thin slices of strawberry papaya made a pretty flower and the pomegranate arils made a beautiful center. I was very pleased with the results. 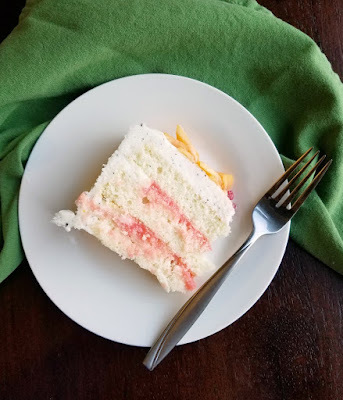 Everyone oohed and aaaahed over the cake and commented on how the blood orange curd almost looked sherbet-y. They thought it almost tasted like sherbet too! My husband wasn't sure he was going to have a slice, but ended up giving in. I'm glad he did because he declared it his favorite cake of the year. We eat a lot of delicious cakes, so that is really saying something! I have to agree that I was super happy with how it came out! The frosting recipe is quite generous, so you are likely to have extras. It would be great on cupcakes or Graham crackers or you could freeze it to use later. I am really curious to see what my blogger friends made with their freaky fruit. And I am curious if you've ever had dragonfruit. 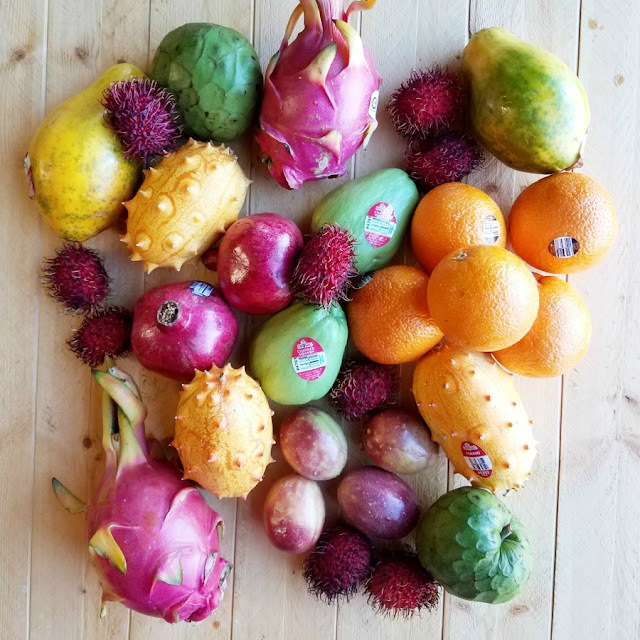 What are your favorite ways to eat these fun fruits? You want the dragonfruit syrup to be pretty thick and viscous. Even while hot, it should have some body. At least the thickness of maple syrup. When cooled it should be at least as thick as honey or even a bit thicker. The sliced papaya holds up really well in the refrigerator. If left at room temperature for a long stretch, it weeps a bit due to the sugar content of the frosting. Once placed back in the refrigerator, it still held up well. The buttercream pipes well. I just did a simple border around the base of the cake, but did experiment with some additional tips. I wouldn't try anything with too small of an opening due to the seeds, but feel free to experiment! You can bake the cake up to a few weeks in advance. Just wrap the layers in plastic wrap and freeze until you are ready to decorate! Divide the batter into the three prepared pans. Tilt them a bit to level out the batter, and then drop them from a few inches above the counter to finish leveling them. Bake for about 30 minutes. The sides should have pulled away from the edges and the top should be golden brown and barely spring back when pressed with a finger tip. In a saucepan, combine dragon fruit and granulated sugar. Cook over medium heat stirring occasionally until it comes to a boil. Stir frequently and allow to boil until thick and syrupy, about 5-7 minutes. Remove from heat and cool completely. You can stick the mixture in the refrigerator if you want to speed up the process. Once the dragonfruit is cooled, cream the butter until smooth and airy. Add 2 cups of powdered sugar, the salt and vanilla. Beat until incorporated. Add the dragonfruit and beat until well mixed. Add powdered sugar until you reach your desired consistency. Place 1 layer of cooled cake on your serving plate. Pipe a ring of frosting around the top of the cake to form a dam, then fill with half of the blood orange curd. Place the second layer on the cake and repeat the process with a frosting dam and blood orange curd. Place the final layer of cake on top. Frost the cake with remaining frosting. Chill until about ready to serve. 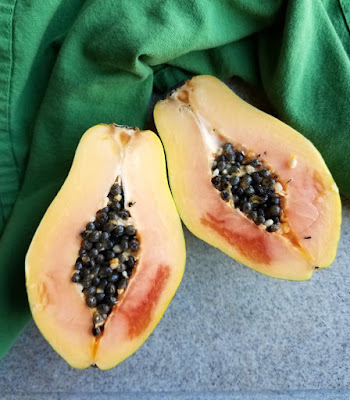 Cut papaya in half and remove seeds. Peel the skin off the flesh and cut the flesh into thin slices. Arrange slices starting with a large circle around the outer edges of the cake and work your way in. Fill the center circle with pomegranate arils. Chill until ready to serve. *to make dragronfuit puree, just cut the fruit in half and scoop out the inner flesh. Discard the peel and process the fruit in a food processor or blender until pureed. What delightful flavors and looks so beautiful!!! Speaking of beautiful..YOU, go have a wonderful weekend! Love the look of this cake Carlee and that you used fruit to decorate it! Great idea! Thank you! I was really pleased with how it turned out! Carlee, you never fail to impress the heck out of me. What wonderful use of so many of the fruits we were given. You go girl!! What a stunning cake. I'm a lover of anything tropical by nature and this cake looks delicious! Oh, my goodness gracious, Carlee! That is beyond stunning. I'm so grateful you joined me on this #FreakyFruitsFriday adventure. Such a pretty cake! I made a dragonfruit buttercream too and I think it's pretty awesome! What fun fruits! I really want to try the dragonfruit buttercream! It subtle and delicious and I love the black specks from the seeds! OMG this cake is gorgeous! Now I need to pick up some dragonfruit so I can try it for myself :). YUM! I am in love with this cake! Such a fantastic idea to make a blood orange curd for the filling and the colors are just gorgeous! This cake is beautiful! I love this wild fruit and I love how you used it. The fruit on the top is beautiful and I love how you made the puree to flavor the frosting. 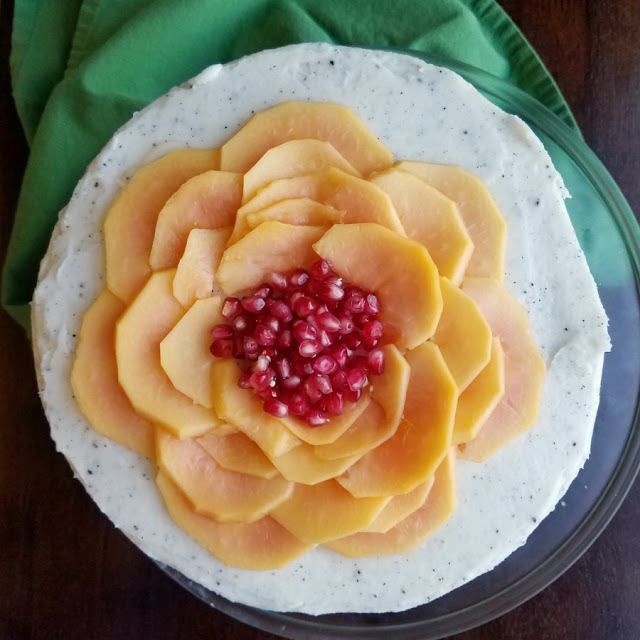 I'm super impressed with how you used the fruit so well to make a complete delicious beautiful cake. Thank you, it was fun to get to try so many new kinds of fruit!